« Wood putty, celery paint, and a drawer pull shaped like a turtle. Despite the number of photographs that I take and post here, my house is actually completely empty of displayed photographs. I’m not really sure why. I seem to prefer paintings (often of cows) or mirrors (the older and more silvered the better). 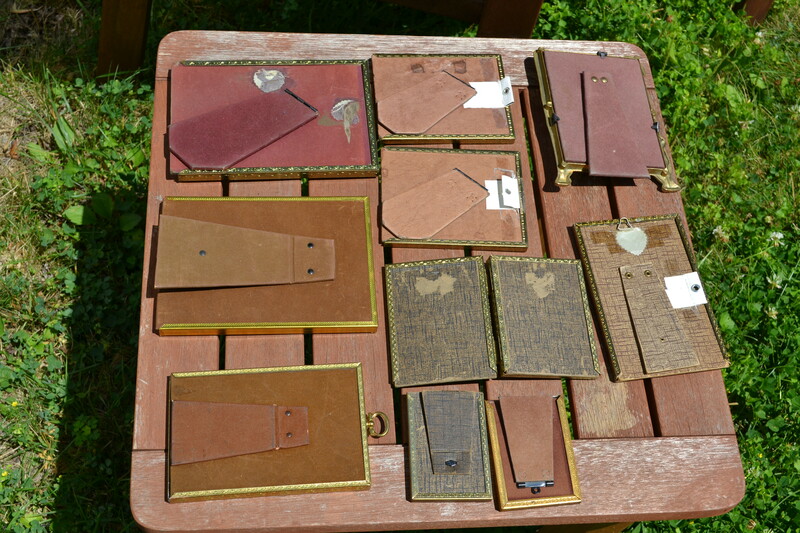 Last week, I came across a box full of old and rather grubby photo frames at a church rummage sale (which was otherwise quite terrible). I bought a stack of them for five dollars, put them outside to clean them off, and then forgot them overnight—during a rainstorm. I guess they’re clean now, though a bit worse for the wear. You can’t really tell from the front, though, and I tend not to like the look of immaculate new things anyway—with the exception of my continually problematic white twill upholstery. I should have gone for a bit more grubbiness there from the start. 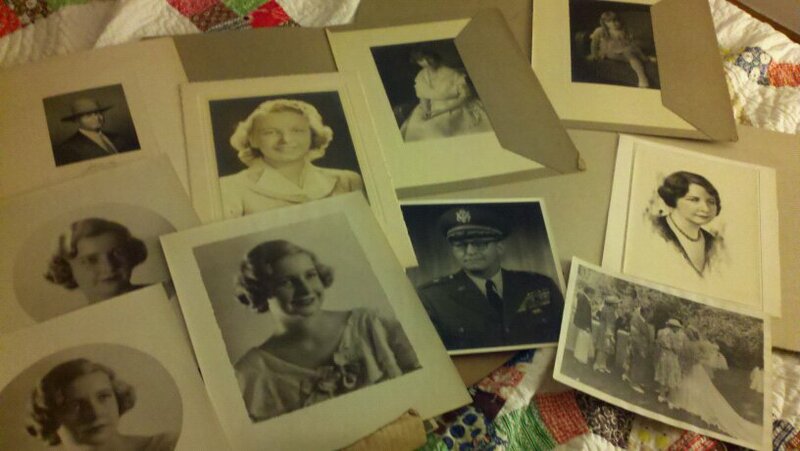 Last year, a box of old photographs surfaced in my mom’s house— large portraits of my paternal grandmother, her family, and my paternal grandfather’s family. One night—much later than was perhaps advisable—I started scanning some of them and printing smaller versions to fit in my new/old frames. Some of the family stories that accompany these portraits are quite sad. Nevertheless, I like having their faces in my midst. 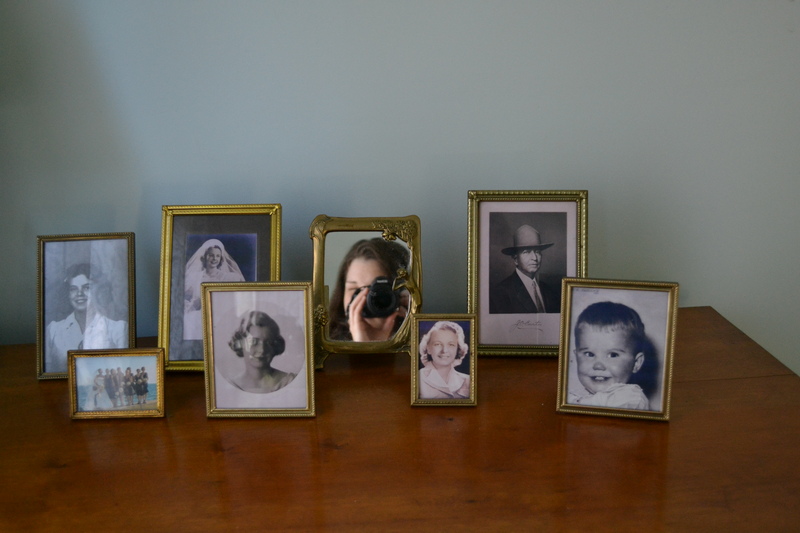 I added in an old school portrait of my maternal grandmother and a picture from a dear friend’s wedding. One of the frames I bought came with a mirror in it, so my face is in the mix, too. I know those faces and even without the mirror, you are definitely in the mix.